We are a specialised agent sourcing World Class Andalusian and Lusitano horses for sale, from upcoming dressage talent to olympic superstars, we have a vast experience in finding international prospects for dressage. Our emphasis is on the highest quality horses available, we save you tremendous time and effort trawling through below average horses and untrusty sellers, by selecting only the very best horses Spain has to offer. 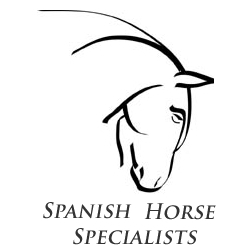 We respect your time and wisdom, we operate with a high level of trust and professionalism and as a result we have become the first choice for professional buyers and sellers in the Spanish dressage horse market. We pride ourselves in creating a supportive and non-pushy sales environment, and we will lead you through a smooth sales process which includes booking a safe journey home for your new superstar!